If you’ve ever been teased as nerdy because you like to read, play video games or do crossword puzzles, don’t feel bad: You could have the last laugh. There’s a growing body of scientific research indicating that people who engage in mental and social activity regularly as you age can minimize the likelihood of developing Alzheimer’s disease and dementia. Keeping your brain busy helps create new neural pathways, which bolster your mental acuity. So curl up with that book, fire up that gaming console and enjoy your daily puzzle. When it comes to brain health, it’s all good. If you’re looking for new ways to stay mentally engaged, check out these fun and stimulating activities. This is one you may not have been expecting. But enjoying a good game of cards engages your brain by keeping track of your opponents’ cards, doing some quick mental mathematics, and anticipating plays and potential outcomes. Favor Bridge or Gin Rummy over Solitaire because studies indicate that the brain benefits more from playing with a group because you’re communicating verbally as you utilize computational skills. Learning a new card game is also a good way to stay sharp and have some fun doing it. If your kids spend hours blowing things up or shooting at virtual enemies, you may have a skewed view of video games and their ability to keep you mentally sharp. Yet there are many mentally stimulating video games that are a ton of fun. Check out NeuroRacer and other video games that have been shown effective at improving memory and concentration in seniors. Three-dimensional video games may also be helpful in keeping the brain limber and resistant to dementia and memory loss. You may have to resist the temptation to roll your eyes at this one … if you’ve never tried it, that is. 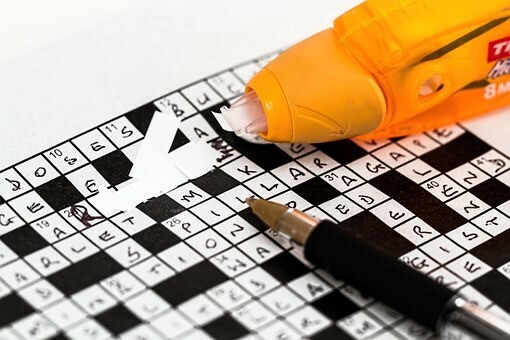 People who do crossword puzzles or Sudoku, for example, derive a great deal of satisfaction from completing a challenging word or math puzzle, and the brain benefits as well from the experience. Even just a few minutes every day can make a difference in your brain health, so don’t feel like you have to finish a puzzle a day. The idea of reading an actual book (not a virtual one) may seem quaintly old-fashioned or an incredible time-wasting bore to many people in this era of instant gratification and high-tech entertainment. The truth is that reading is not only an enjoyable activity, it’s one of the best things you can do to strengthen your brain against the ravages of age and the onset of Alzheimer’s. Reading engages many parts of the brain, utilizing vivid imagery and memory all at the same time. Think of it as a great cognitive workout. If you’re skeptical about the long-term benefits of volunteering for good mental health, consider the case of former President Jimmy Carter. Now in his 90s, Carter has volunteered ever since leaving the White House nearly 40 years ago and he’s still going strong. It’s a terrific combination of social interaction and vigorous physical activity, as well as an opportunity to learn new skills. Staying mentally active doesn’t take up much of your time it’s easy to do. Just 20 minutes a day playing puzzles, reading or trying out a new video game can make an enormous difference if you’re a senior at risk for Alzheimer’s or dementia. It’s fun and great for you.